The truth will eventually set you free. But first, it needs to piss you off. DJ Robert Miles has died after a brief illness. 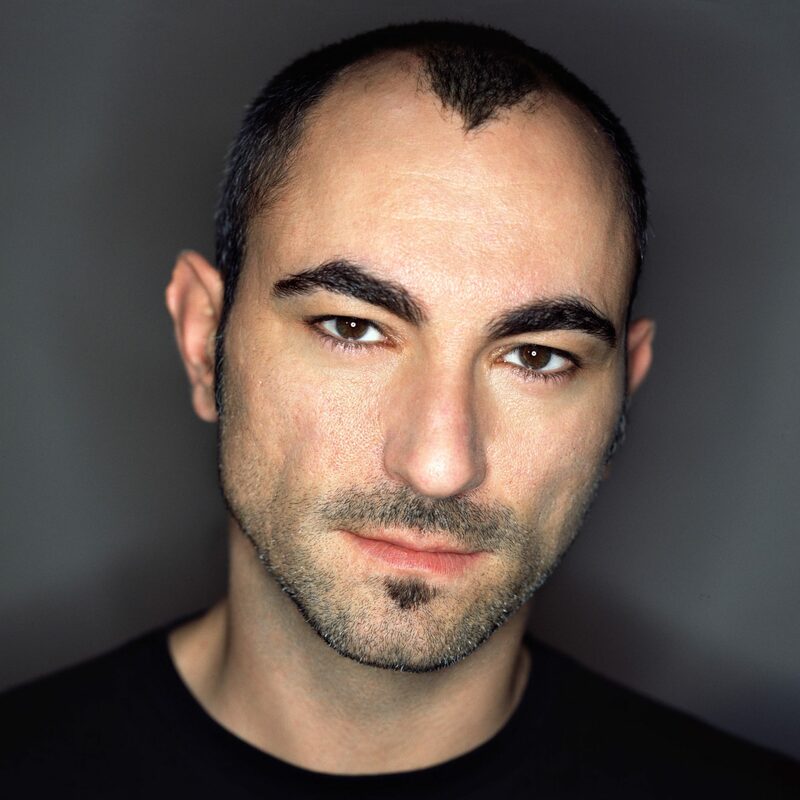 If you listened to music in the 90s, you can’t have missed the genius of Italian born DJ/music producer Robert Miles, even today DJ’s sample his music worldwide. “Children” is the most iconic of hits in the history of dance music and really defined his career and revolutionized dance music, creating an entire genre “Dream House” which brought trance music to the mainstream. In clubs they used to have this as the last track of the night. It is a track that is very moving and brings strong emotions. After Miles performed this music in a club, a girl approached him in tears. “What music is this?” she asked him. It was a moment he will never forget that moment, realizing that his feelings had been conveyed through his music. His dream turned into reality. Fable was another one of his fantastic tracks…featured in the movie “Ever After” (with Drew Barrymore). Back in the ‘70s Tina Charles was a very talented English singer and at the time doing only backup vocals for groups, and wasn’t getting recognition. It wasn’t until she met Indian born British music producer Biddu who produced her immortal hit “I love to love”. I remember watching this song premier on “Top of the Pops” back in ’76. It still sounds fresh almost 40 years later! Biddu is considered one of the pioneers of Disco, Euro-Disco and South Asian Pop (Indipop) music. He was hailed as one of the “50 Greatest Music Producers of All Time” by New Musical Express. His international breakthrough came in 1974 with “Kung Fu Fighting” performed by Carl Douglas; the song became one of the best-selling singles of all time with eleven million records sold, helped popularize disco music. It was the first worldwide disco hit from Britain and Europe, and established Biddu as one of the most prolific dance music producers from outside the United States at the time. He also produced “Disco Deewane” for Nazia and Zoeb Hassan which went on to become the biggest selling pop album in South Asia and launched an entire genre of South Asian pop music. I lived in Africa at the time, it was heard everywhere from corner shops to clubs. The real Obama legacy is nothing but broken promises, war crimes, illegally spying on citizens, assasinations of US citizens, the word’s most expensive “free healthcare” that stuck the bill to working class people in increased taxes, the world’s greatest ever deficit ($19 trillion?!@#&*!) looting the most productive members of society to pay for politicians to get rich including Obama. If you seek enlightenment, research what his net work was before he became president, and then what it is now. By the way, MOST of the following articles below are commentaries by LEFT-wing, progressives. I guess there are a few principled left-wingers in the country who hold a Democrat President to the same moral standards that they hold a Republican President to. Are Obama’s Record Arms Sales to Saudi Arabia, Yemen, Egypt and Iraq Fueling Unrest in Middle East? Donald Trump and other conservatives’ deportation fantasies are awful. President Obama’s actual record is even worse. (Thanks to David Kramer for compiling these). Here is Akbar Sami’s electro-house remix of “Menu Kehn De” with its energetic vibe is sure to haunt dance clubs around the world for years to come! Out now in stores on T-Series, the album “Aap Se Mausiqui” by Himesh Reshammiya features this track. Taking a look at the past, Akbar Sami and Himesh Reshammiya Bollywood collaborations have made history; their partnership has brought us some of the biggest and most memorable Bollywood remixes and dance tracks such as the award winning remix track Aashiq Banaya Aapne and Aap Ki Kashish, Jhalak Dikhlaja, and many more tracks that still set fires to dance floors around the world. Reshammiya’s debut album “Aap Ka Suroor” in 2007 is considered the bestselling album (that was not a Bollywood film soundtrack) in Indian history. I bought it mainly for the seven dance remixes on the album including the title track which were produced by Akbar Sami – sheer magic! By now, almost everyone’s aware of the NYC mosque controversy has made its way to mainstream news media, Twitter, Facebook and talk radio. It is breeding a rising hysteria against Muslims. Many protests have gathered now against proposed mosques around the country – in other parts of NYC; Sheepshead Bay, Brooklyn and Midland Beach, Staten Island and in other states – California, Georgia, Illinois, Kentucky, Tennessee and Wisconsin to name a few mosques that are being opposed. 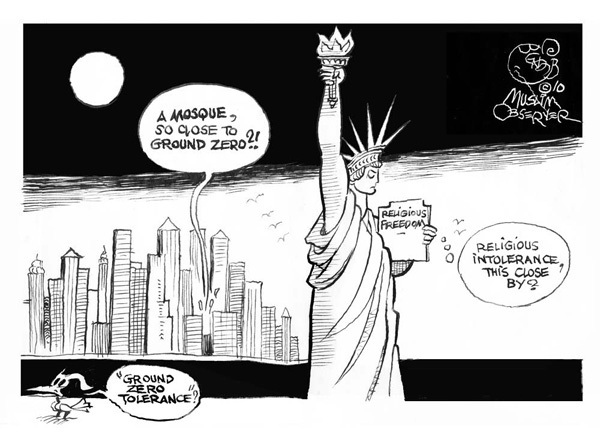 The big issue in the news this time is a building of an Islamic community center aimed at multi-faith dialog called Cordoba House, open to all faiths in Lower Manhattan more than two blocks away from “Ground Zero” where the World Trade Center once stood. It will house an auditorium, spa, basketball court, swimming pool, classrooms, exhibition space, community meeting space, 9/11 memorial, and, yes, a prayer space for Muslims. That is what the bigots of America find objectionable. I lived in NYC for 13 years. In this frenzy what people seem to miss is – there was actually a “mosque” (prayer hall) in the World Trade Center itself where people gathered for Friday prayers. Every year Ramadhan is still celebrated in the Pentagon where 184 people died on 9/11. Ramadhan is also observed in the White House every year when the President hosts Iftar dinner. But since this is an election year, politicians have tried to build up the extremist hysteria further – Sarah Palin (on Twitter), Newt Gingrich, Rick Lazio (campaigning to be the next Governor of New York) and others are joining the frenzy of Islamophobists and bigots. On the other hand, I applaud CNN’s Fareed Zakaria for his actions. He returned a medal and award he got in 2005 back to the Jewish Group ADL for their opposition to the community center. The Cordoba House (the “mosque” as our biased media calls it) is named after the city of Cordoba, Spain – which was capital of Muslim Spain. Around the 10th century that was the most populated and coolest city in Europe. The Muslim period in Spain (Here’s an article on the subject http://tinyurl.com/2eykgqt) is remembered as a “golden age” – where Muslims, Jews, and Christians living in peace built a vibrant and extraordinary civilization. It had universities and libraries, public baths, roads with street lamps. Literature, poetry and architecture flourished. They had built a flourishing culture and prosperous civilization during a period when London was still a mud hut village and most of Europe was still in the “Dark Ages”. The Muslim period in Spain began in 711 AD and ended in 1492 AD with the Spanish Inquisition (religious persecution of Muslims, Jews, non-Catholic Christians by the Catholic Church which had banned all other religions). If anyone was found believing in Judaism or Islam, they would be called “heretics” and burnt at the stake. The US Constitution guarantees that Muslims in this country have as much rights as do Jews, Christians, Hindus to live or worship freely as long as they do not infringe upon the rights of others to do the same. Muslim heritage in this country goes back to Christopher Columbus and his famous voyage of 1492. Columbus’ pilots were Muslim. What is today happening in America, where Muslims are being prevented from building a place of worship, is just plain hatred, bigotry and racism and nothing but the Spanish Inquisition all over again. http://www.bendib.com - America's Most Wanted Cartoonist. The pen is funnier than the sword. Cartoons that speak truth to power. The other day I was playing this song in my car and thinking about my beautiful wife – Mahi Jaan. I called her and tried singing the words to her but I was causing such a traffic jam on the 405 so gave up. She was probably worried that the Bel Air residents would come out wondering what shattered their windows or “Who let the dogs out?”. Let’s face it – We all don’t have magical voices like Tahir. But as I listened…suddenly everything I looked at turned into sheer beauty….on the 405, the San Fernando Valley below me. On the 101, the sun rising so majestically, yet delicately veiled by gentle clouds, the mountains in the eastern distance still wearing their white caps…. Funny thing was that Hitesh also happened to think of the same song on the same day! Coincidence? Maybe he was also enveloped with sheer beauty everywhere – since London is such a beautiful city. Here is the song with such beautiful and expressive poetry. I also have translated the lyrics to English below, to be as close as possible to its original Urdu meaning and in most places have used the literal meaning of the words but sometimes the symbolic to try stay true to its Sufi poetic form. MSNBC is running a poll on Obama’s performance as President. Out of more than 113,182 responses votes so far, 60% give him an F.
It has been only 50 days of his Presidency so far. People are already disappointed. A Bailout for Eurozone in the works?